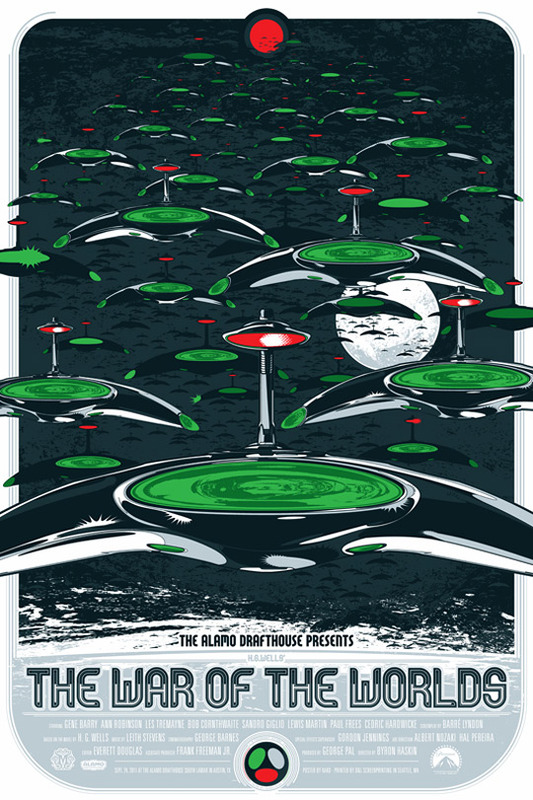 The Mondo Gallery opened in Austin, Texas during SXSW 2012, and with it came movie poster heaven. The theme for the gallery's opening event was science fiction. Some of the greatest artists in the world came with their designs for the best sci-fi movies of history. 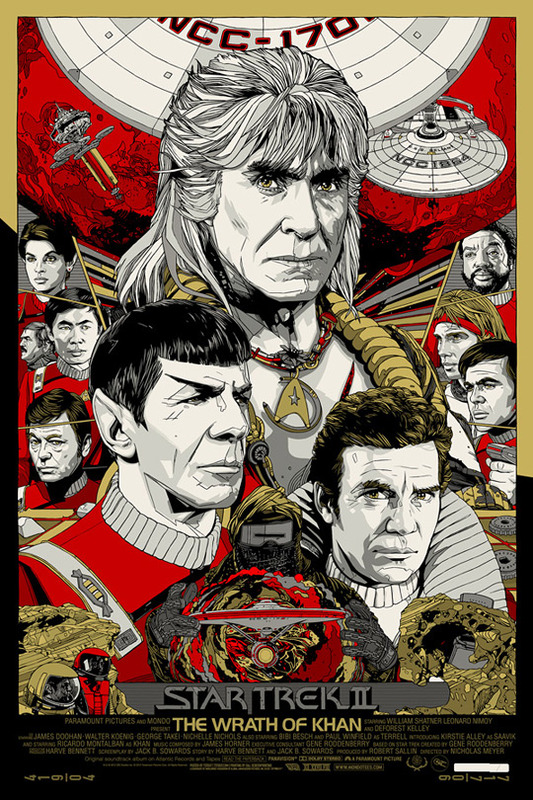 Movie posters for films like Star Trek II: The Wrath of Kahn got a reworking by artist Tyler Stout. 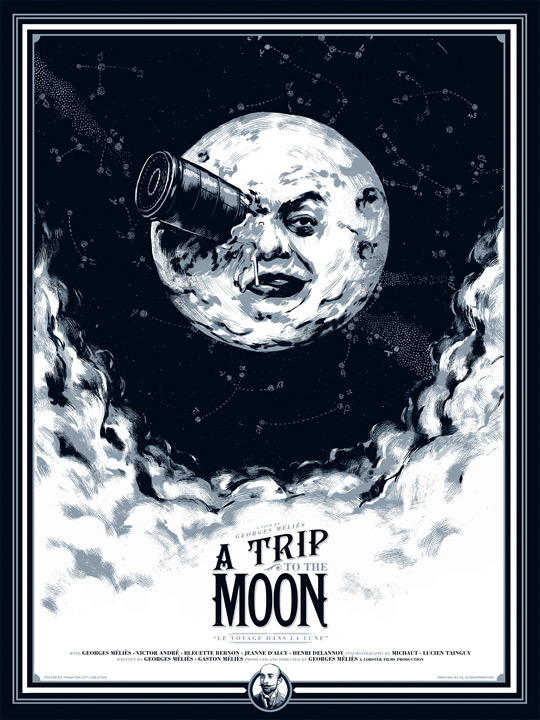 Phantom City offered a creative take on the most famous image from Melies' A Trip to the Moon. 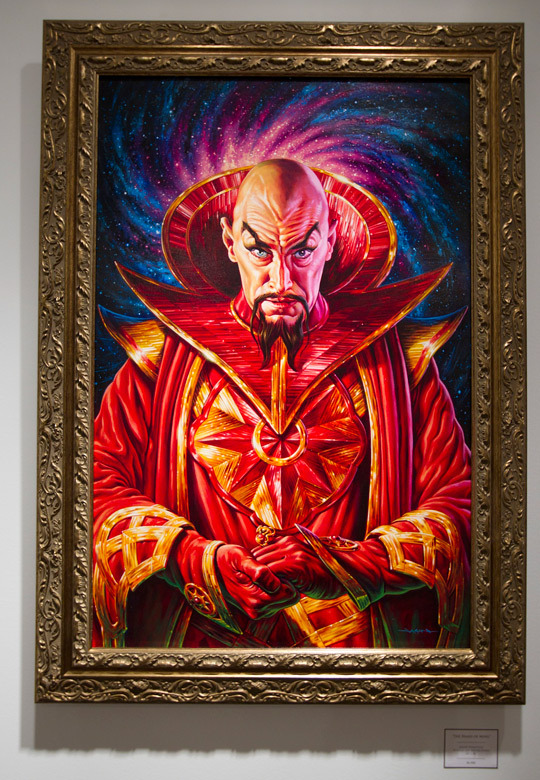 Jason Edmiston's acrylic on wood panel of Flash Gordon's Ming the Merciless is a thing of sinister beauty. Even Duck Dodgers got his own poster from Tom Whalen. It's all one more move towards the Alamo Drafthouse taking over the movie geek world as we know it. Headed by creative director Justin Ishmael, Mondo Tees consistently presents fans of all things cinema with their own, unique brand of movie poster design and fanboy fantasizing. Having an Olly Moss design for "Dr. Who" on your wall has become the new Warhol and his Campbell's soup can. And it's all done for the love of the movies. With their first gallery space comes a new angle for Mondo Tees and new opportunity to bring the artists they love in for poster designs on the movies they love. Ishmael couldn't be happier. "The evolution of Mondo has taken us from being head quartered in a ticket booth at the original Alamo location to our own standalone headquarters," says Ishmael on the difference between where Mondo started and where it finds itself today. 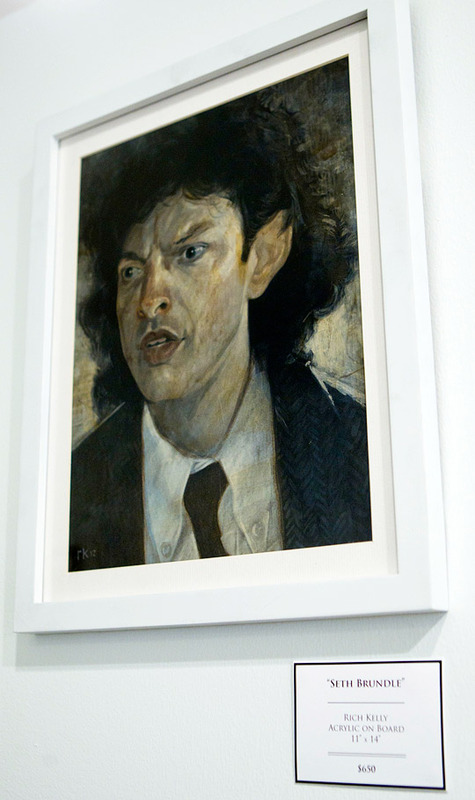 Original art lined the white walls of the gallery space. Every turn of the head, every movement of the eyes brings a new vision of color and excellence into your sights. 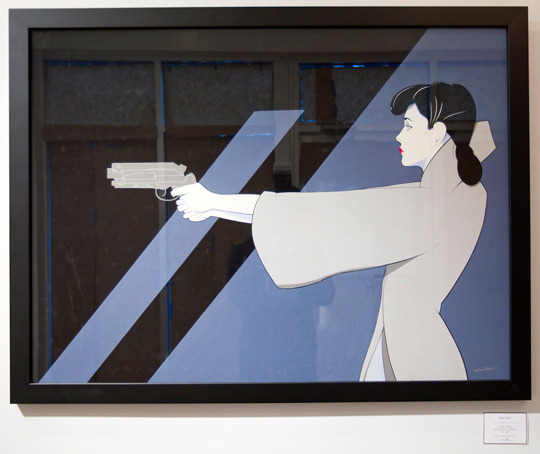 Walking through the Mondo Gallery is a akin to walking through the dream world of a cinephile. Not just any cinephile, either. It's the dreamworld of a cinephile who grew up watching William Shatner scream his nemesis' name, Jeff Goldblum pull pieces off of his body as he changed into the titular Fly, and Walter Pigeon succumb to the dangers of his own Id Monster. These sci-fi images have been emblazoned onto our very souls, and, now we're able to display these images on the walls of our home (if you're lucky enough to snag one of the prints). A Trip to the Moon, by Phantom City Creative, 18"x24"
Forbidden Planet, by Kevin Tong, 24"x36"
Star Trek II: The Wrath of Khan, by Tyler Stout, 24"x36"
The War of the Worlds by Kako, 24"x36"
AICN also shot a video of the gallery opening to give you an idea of what it was like to actually be there. All of these are part of an amazing gallery and I'm glad we're able to share many of them with everyone outside of Austin, as they need to be viewed and appreciated by the world. Which are your favorite? This new gallery is an artistic endeavor Mondo has been striving towards for years. And with it comes an onslaught of new works, works that any lover of film can walk in off the street, slap down their form of barter—Mondo does not accept human sacrifice for their prints, at least, I don't think, but you might want to check with Justin on that one—and walk out with a thing of cinematic beauty. 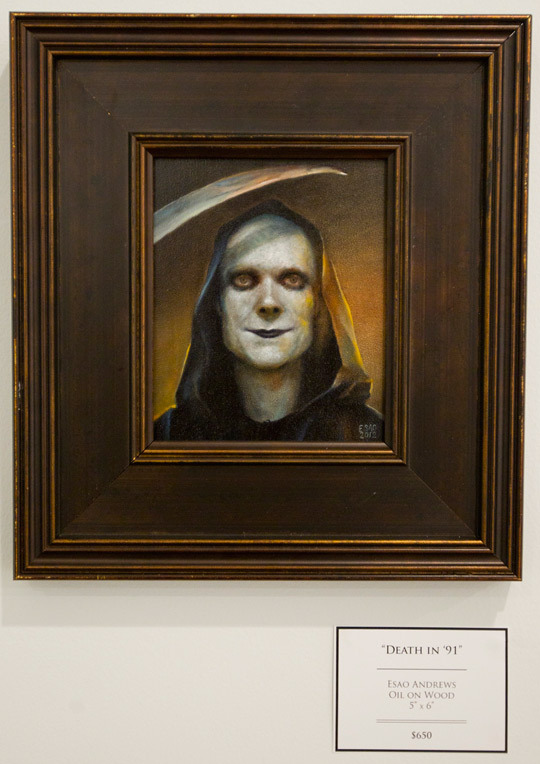 More events are being planned for Mondo's gallery space in the future, and, with them, more magnificent works of art are sure to be seen, purchased and displayed. For more updates, visit the Mondo Tees blog or follow @mondonews. Mother of god, look at all the hipsters! It's like the 80's again, only...worse. 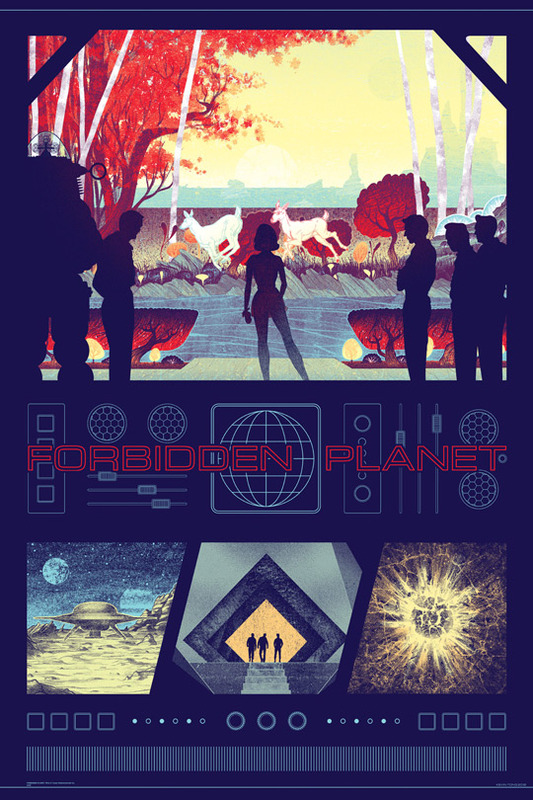 I think the one for "The Forbidden Planet" is my favourite. Sad that I'm living in germany. I think i'll have to wait for an event in germany for a very long time. But it's fantastic pictures.